Is there a better alternative to Dictionary Greek/German PREMIUM? Is Dictionary Greek/German PREMIUM really the best app in Language category? Will Dictionary Greek/German PREMIUM work good on macOS 10.13.4? Dictionary Greek/German PREMIUM by PONS is the most comprehensive Greek/German reference work from PONS, with 360,000 keywords, phrases and translations! Do you read and write Greek or German texts, newspapers and magazines? Or do you frequently check on a word whilst reading or writing e-mails, letters, presentations, trade articles in Greek or German… focusing on the widest range of topics? 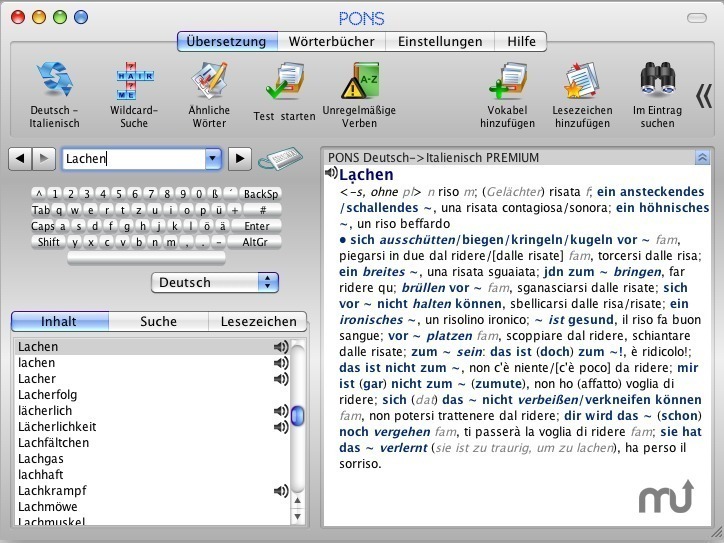 The PONS Dictionary German/Greek PREMIUM has been designed for professionals and offers quick and reliable help! Dictionary Greek/German PREMIUM needs a rating. Be the first to rate this app and get the discussion started! Current and comprehensive vocabulary containing around 160,000 keywords and phrases and more than 200,000 translations. With professional terminology from the worlds of business, computer science, law and natural sciences ��" the perfect aid for everyday business use. Detailed examples of context and information about language usage. Particularly well-structured layout with comprehensive entries.